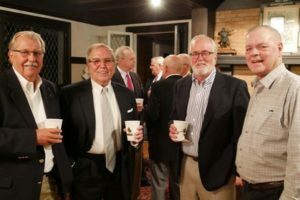 From East (New Hamphire, Virginia, Georgia, and Florida) and West (California and Texas) and the Heartland in between, the Brothers of the Class of 1968 gathered in Brook, IN, at George Ade’s home “Hazelden”, to celebrate 50 years of Brotherhood. 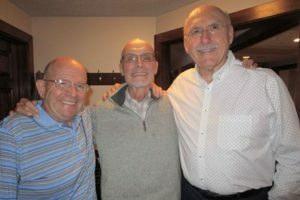 This gathering was the 6th time, starting in 1993, that the Brothers had visited Hazelden to reunite as a class. 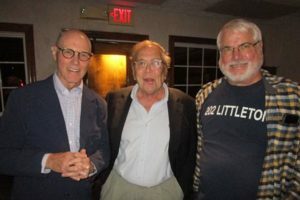 But, of course, this time was special – 50 years!!! 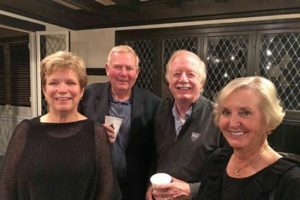 During cocktail hours, many of the Brothers and Sweethearts were treated to a tour of Ade’s home, led by Kristine Wright, the librarian in Brook and “docent” of Hazelden. 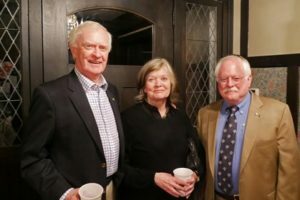 It was reassuring to learn that someone of her generation and with her knowledge and enthusiasm is committed to seeing that the history and traditions of George Ade and Sigma Chi will continue to be preserved. 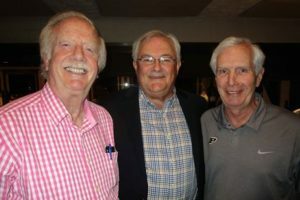 Dinner was preceded by the Sigma Chi Grace by Jim Chapin and a toast to the Class of ’68 by Bob Kaley. Bob reminded the class of the day in early spring of 1965, when a group of boys accepted the challenge to start down the trail in search of the White Cross. He noted that initiation on Halloween, 1965, might have been considered the end of that trail but, in fact, was only the beginning of life-long efforts to live up to the honor and responsibility of wearing the White Cross. A highlight of the evening was the presentation of the Significant Sig Award to Ken Schutte, in recognition of his achievements in the banking and investment community, as well as his service in the Peace Corps and the U.S. Navy. Ken retired as Treasurer of Edward Jones Company in 2010. 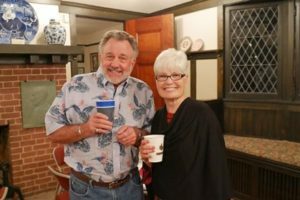 Since retirement Ken has been an adjunct professor at Lindenwood University and serves on several boards of public and charitable organizations. 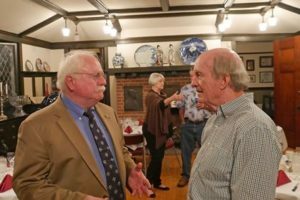 Ken is the 5th member of the Class of 1968 to be recognized as a Significant Sig. 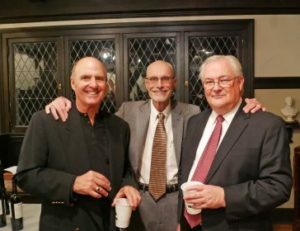 (Others are Hank Suerth, Larry McMillan, Stu Stock, and John Cooper.) 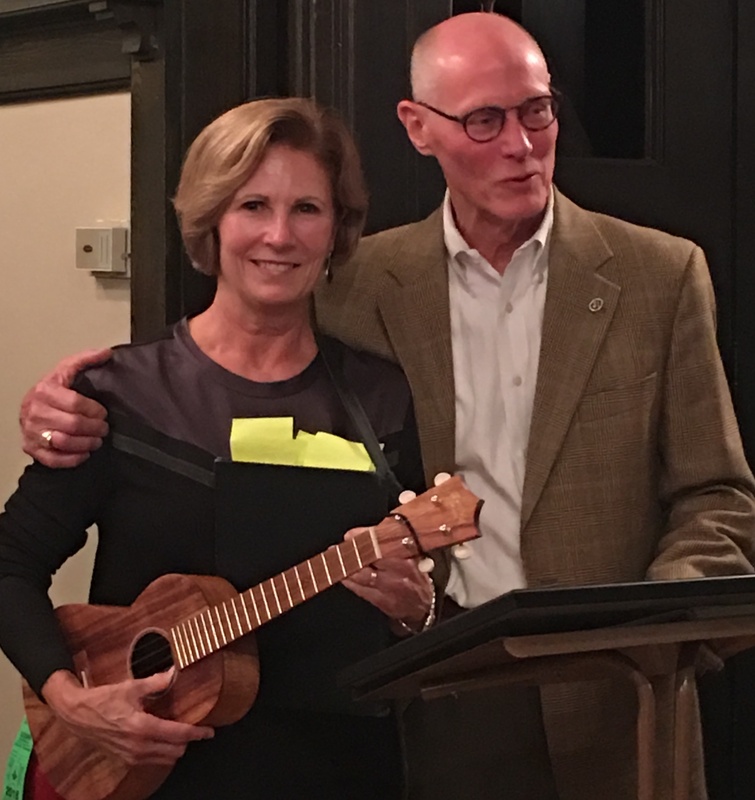 Following the traditional presentation of a dozen white roses to Ken’s wife Pat, the award ceremony was capped by the singing of “My Name is Sigma Chi, Sir”, accompanied by Pat Schutte playing the ukulele. Stu Stock commented on his observation that the class has grown closer, rather than drifting apart, noting how counterintuitive that seemed. Mike Campbell spoke of the “remarkable class” and the “remarkable love and respect for all”, noting that it “almost” made him cry. 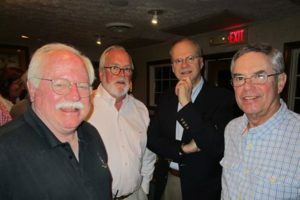 Jim Chapin took a few minutes and penned a literary gem that captures true friendship and brotherhood. 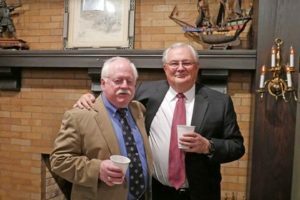 Go to Class Reunion to enjoy this insight into life-long friendships. Memories are wonderful things. 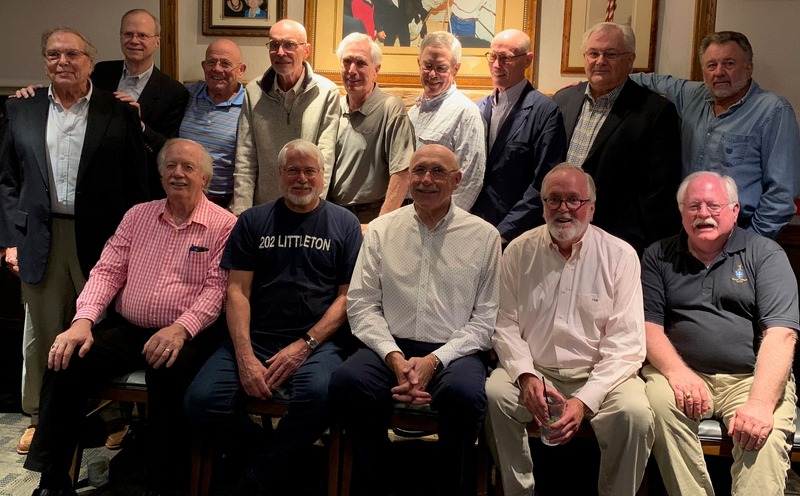 In reading the 50 year reunion of the Class of ’68, I was reminded of all of those great memories as the “old man” sharing in the brotherhood with the Class of ’68, and all of us singing “House of the Rising Sun” with Pinky at the piano in the great room. 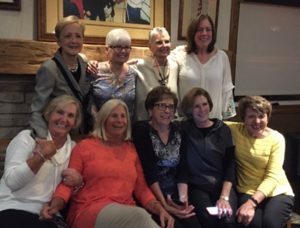 I am truly lucky to have enjoyed both the Class of ’63 and the Class of ’68. I remember Bill asking me if I played bridge. I thought I was a big shot and said yes. He said come on we need a 4th; I totally embarrassed myself but he taught me how and now I consider myself very good player. Thanks Bill, Sweet Pea. I remember Bill asking me at a pledge function if I played bridge and I thought that I would be a big shot and said yes. I made a complete fool of myself but he took it upon himself to teach me the basics. I’m now a pretty good player.